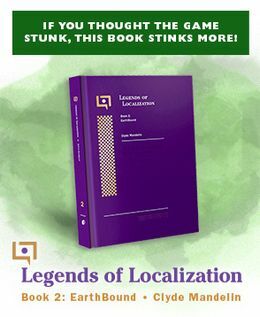 Hey Mato, I saw your post today and thought you may find interest in this. 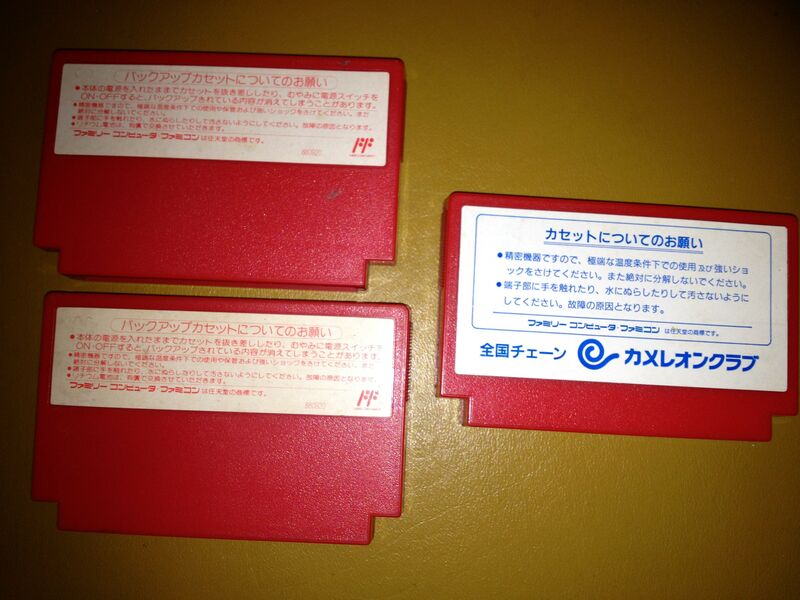 I have had maybe 5 Mother famicom carts pass through my hands and all of them have had the sticker pictured on the right (on the attached picture). 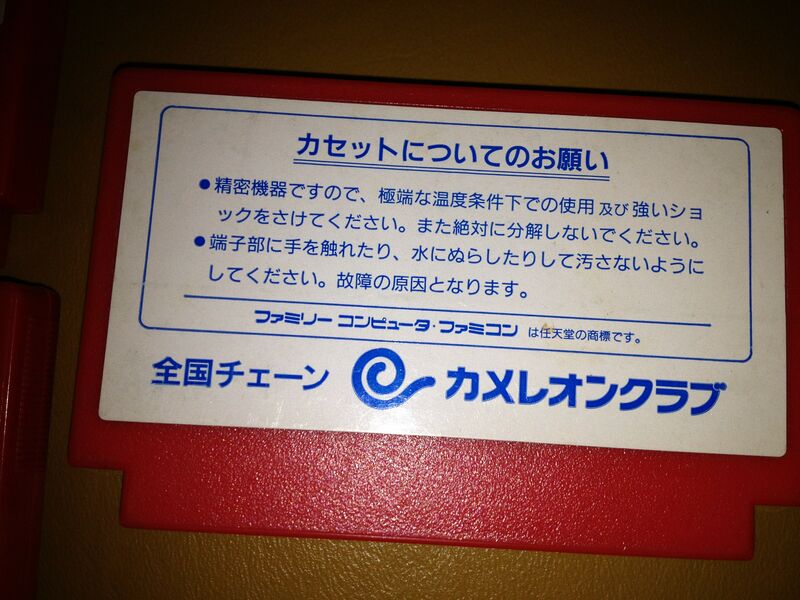 However, I recently got one that has a different sticker on the back. I was just wondering if you might know what’s up with this. 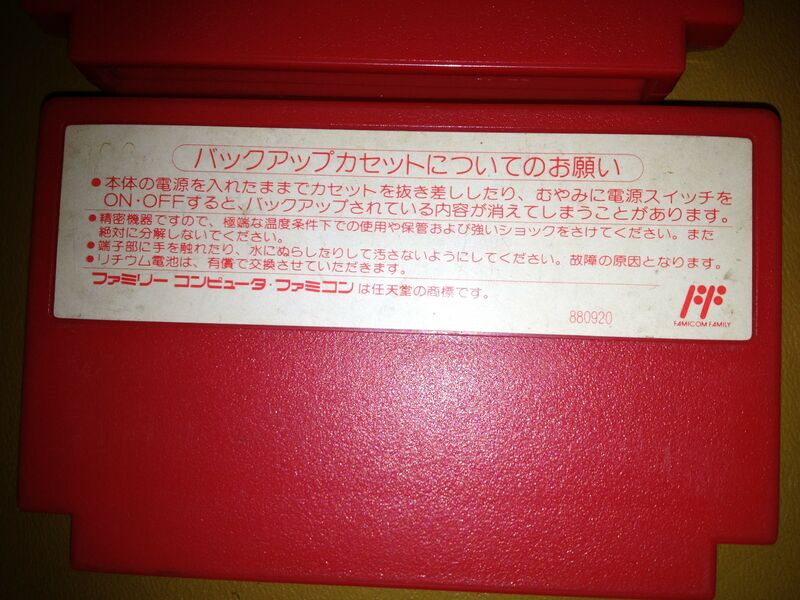 Also, the two on the right have “00” imprinted on them, whereas the other cartridge has nothing printed. Have a good one! The one cart with a different label says “Nationwide Chain – Chameleon Club”. 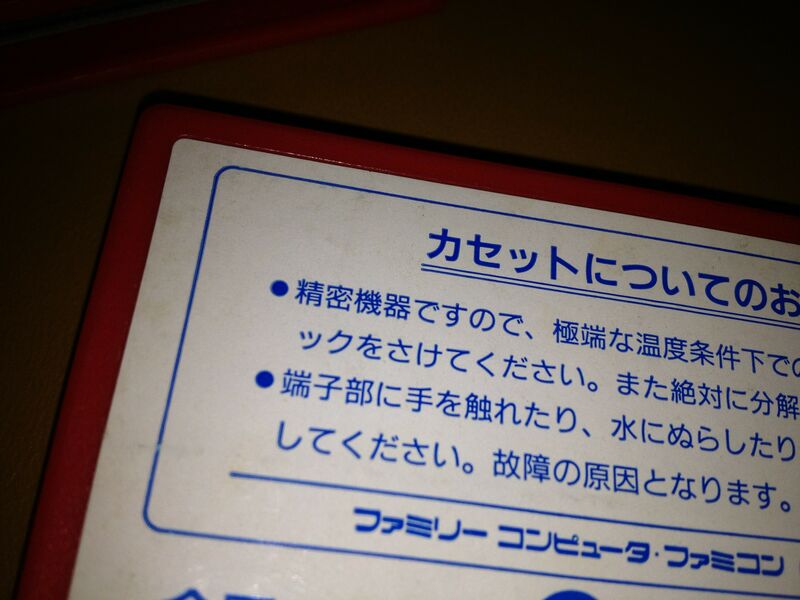 My only guess is that it’s a label added by a chain of used game stores or something, but I really have no idea. Does anyone else know the answer to this mystery? 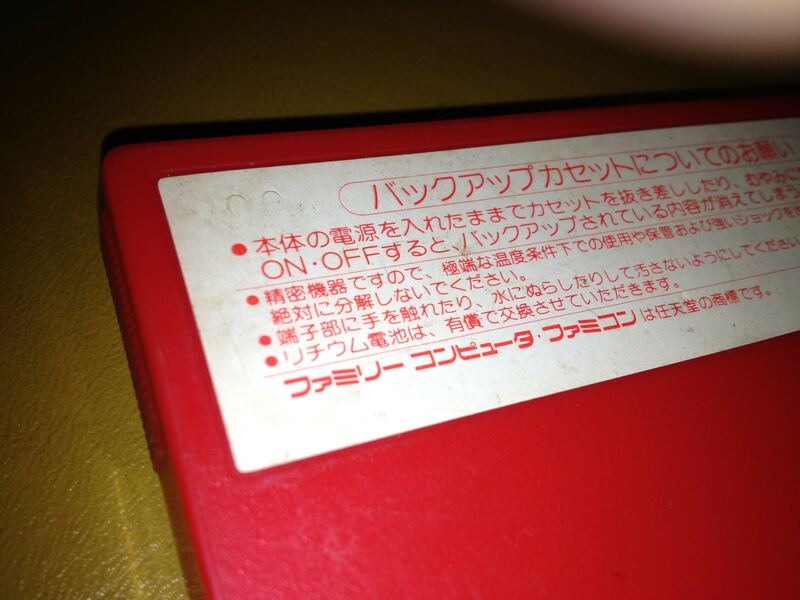 Also, does anyone with a copy of MOTHER for the Famicom have any different stuff than what you see here? Let me know! I’ve been to Chameleon Club many times.. they were pretty common throughout Yamaguchi prefecture (not sure where else). They were a seller of used games, manga, and other collectibles (figures and stuff). So yeah.. that’s all it is! In other words, if this person removes that sticker, the regular one lies beneath, in secret. http://www.chameleonline.jp/ looks pretty promising as an explanation. It probably is a game dealer. I have a copy of Dream Penguin Story with the same sticker. Yeah, I’ve got a photo of a Chameleon Club I walked past last weekend, if you’d like it. It seems to be along the lines of GEO or TSUTAYA or Takarajima, basically your standard-issue used-game shop.